What they need on site is governments to give them some money to speed things up? Read my previous posts on the subject. Below. There is no doubt that is where God created life. A few miles from the Garden of Eden, as directed in Genesis. I read the first chapters of Genesis on 09.06.13, and they fit the site like a glove. He must have used the carvings as patterns for the genetic creatures. Good fun for him, and great work. 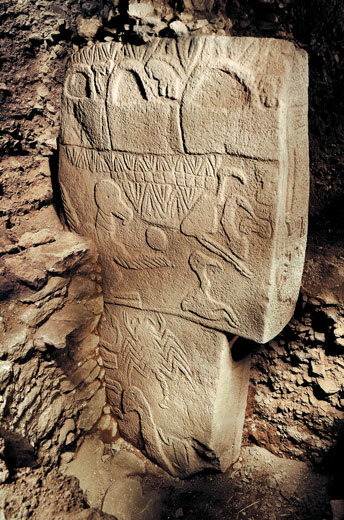 Translated Gobekli means WOMB. Very appropriate for the creation of life. Where we all were born. This will blow the lid off heathens views. We know that God used carvings to communicate. The ten commandments for example. 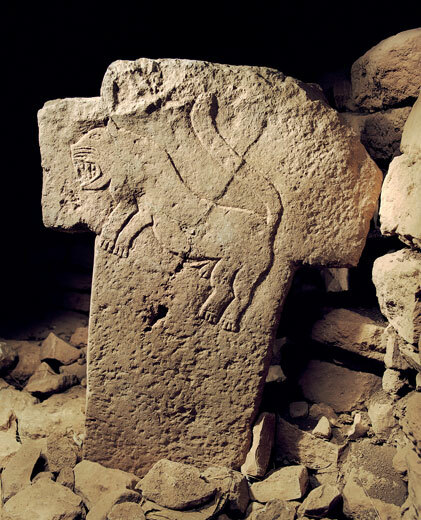 Anyway: The site, as you will learn, was created by someone/s, and there are pictures of every type of creature carved in stone. (Templates?) Much of the site is still to be unearthed, because someone/s buried it deliberately, (God?) but already the bones of most animals have been found. Remember Eve was made from a bone from Adam. A rib in fact. Take a horse, make a slight adjustment and you have a Zebra Etc Etc. 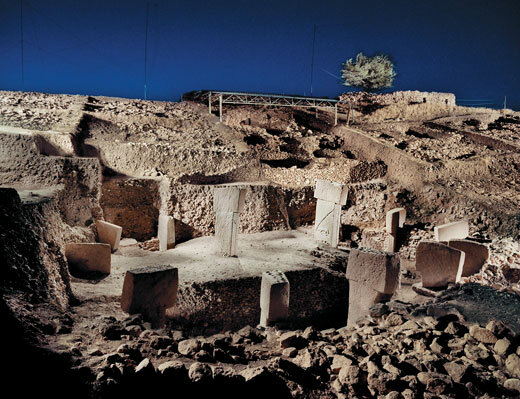 Hurran is near the ancient city of Sanliulfa in Turkey. I will not confuse you by giving more of my opinion. Study the place yourselves, and see what you think? Just remember a day could have been equivalent to many years in the beginning. In six days God created the heavens and the earth. Note: The pictures are from the Smithsonian web page.